2. A cartoonist often uses humor to illustrate a news item. What comic device does the cartoonist use to highlight this news story? Explain your answer. 1. 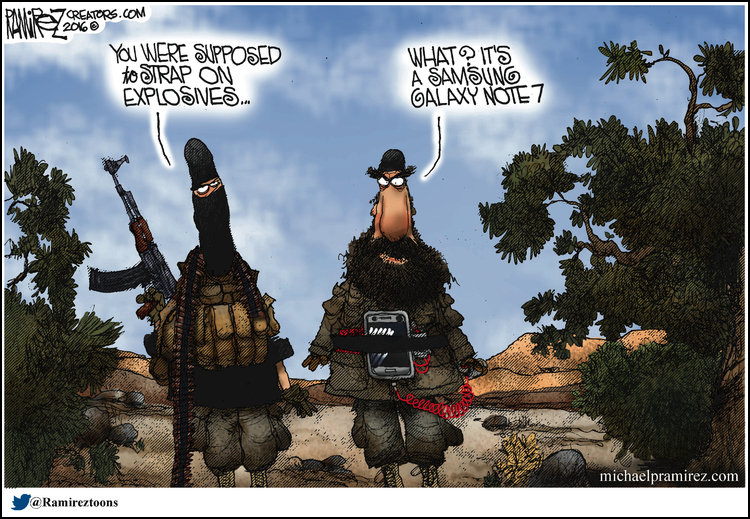 The cartoon refers to Samsung recently recalling its flagship Galaxy Note 7 smartphone after reports of the phone “exploding” during or after charging. 2. b) satire – satire is defined as: the use of irony, sarcasm, ridicule, or the like, in exposing, denouncing, or deriding vice, folly, etc.